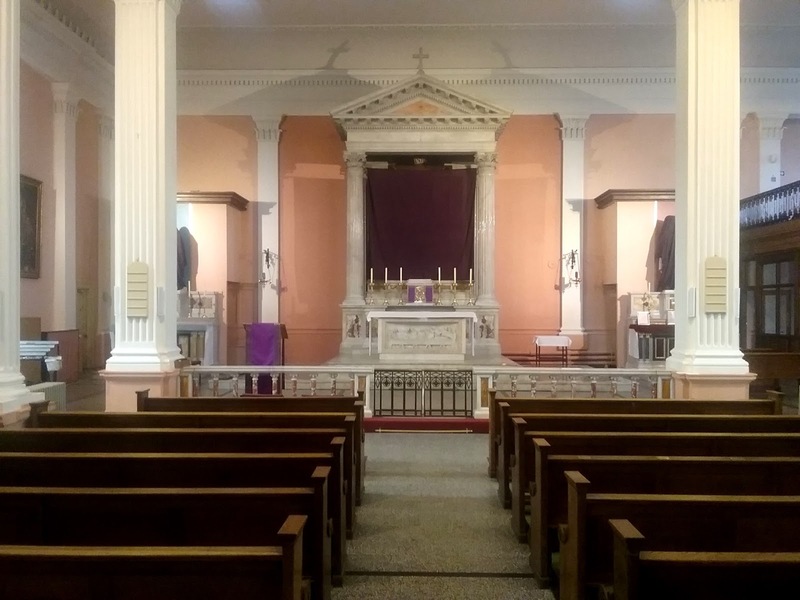 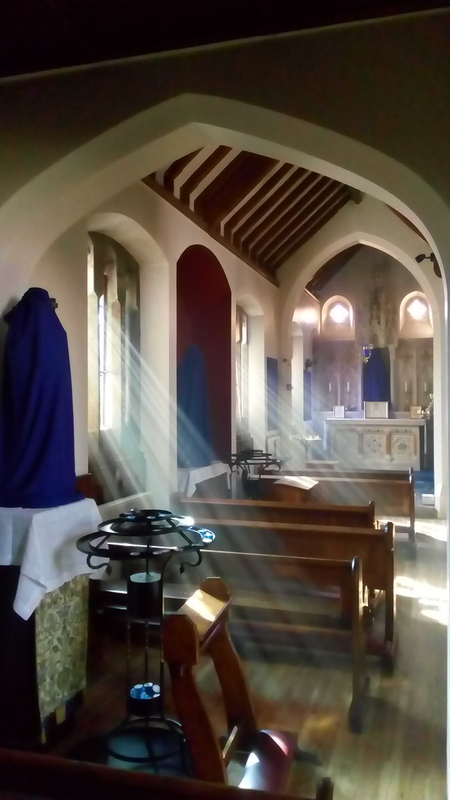 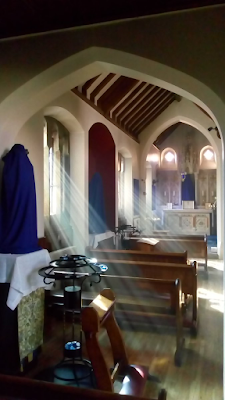 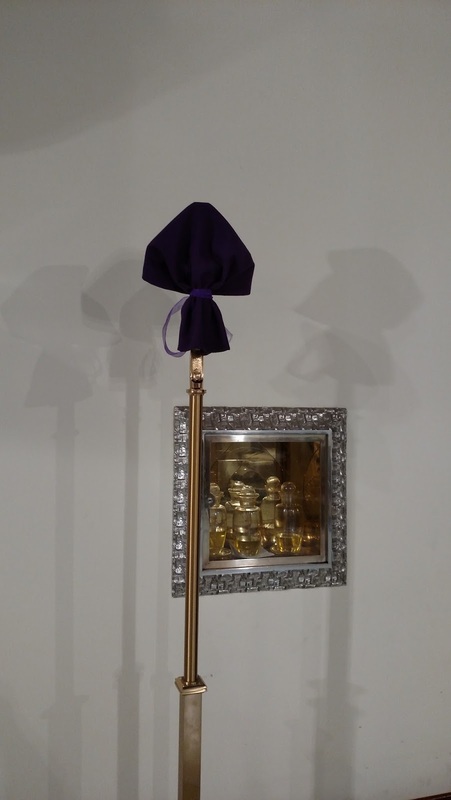 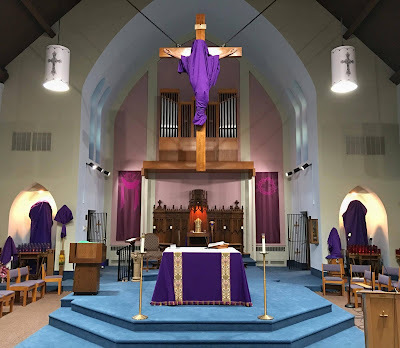 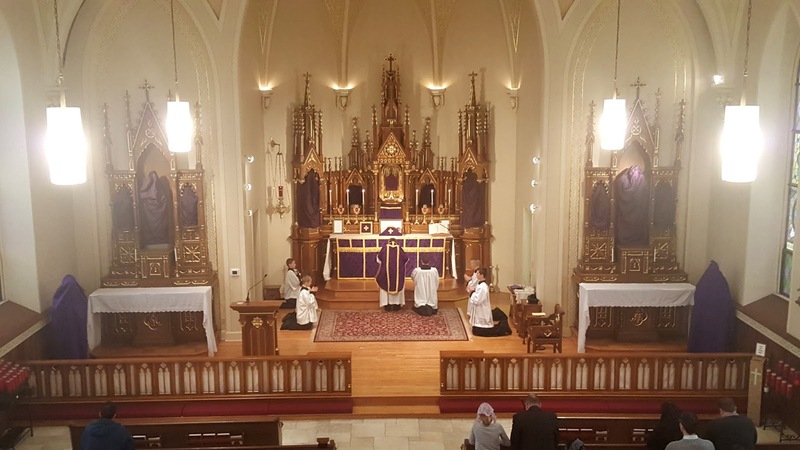 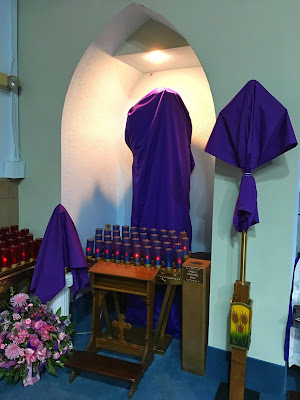 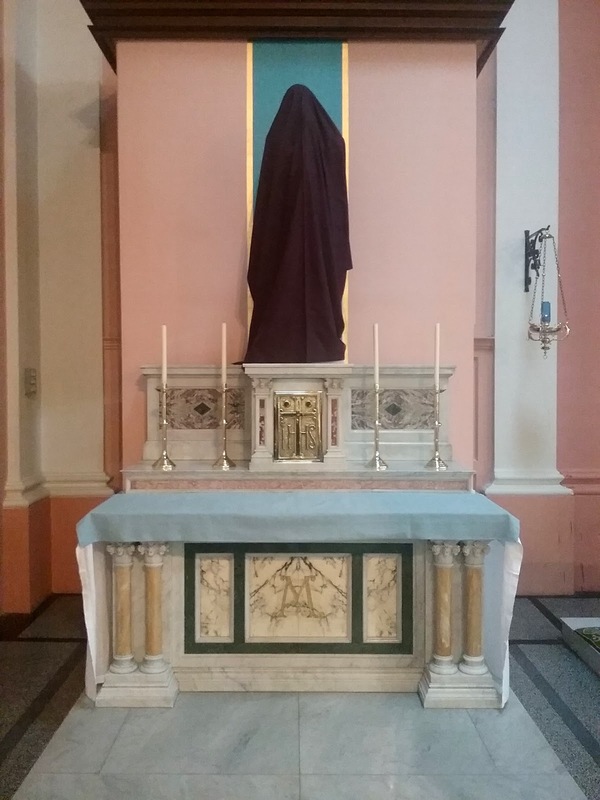 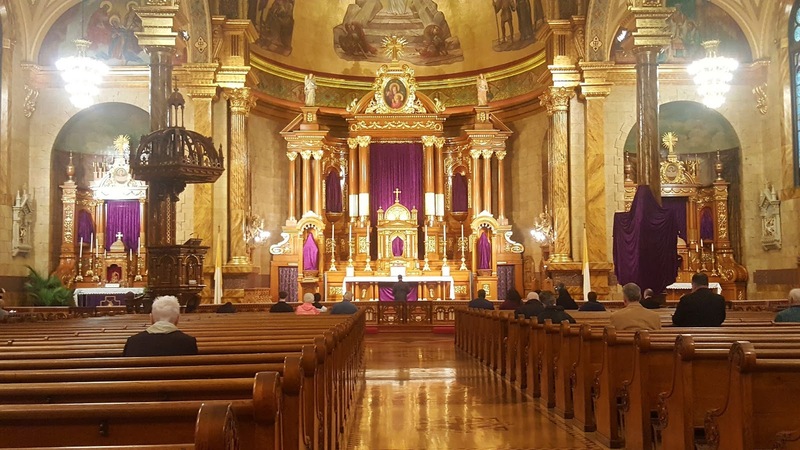 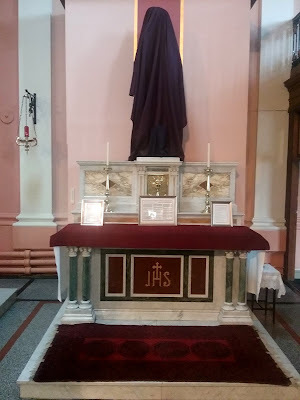 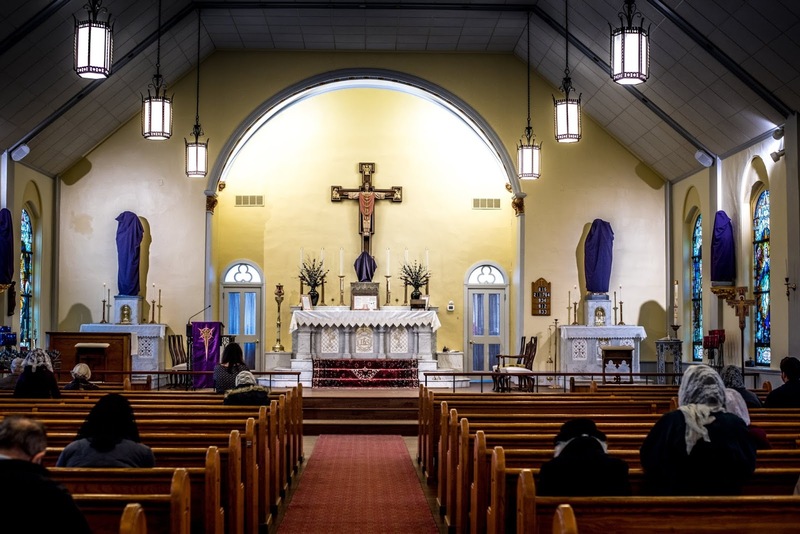 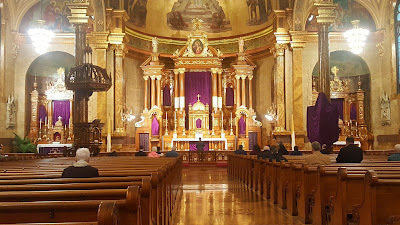 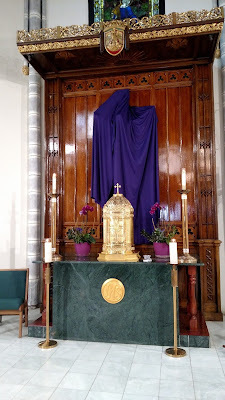 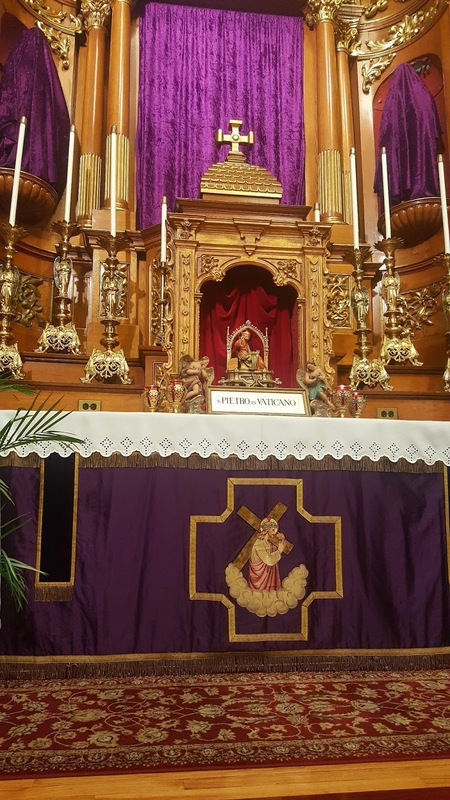 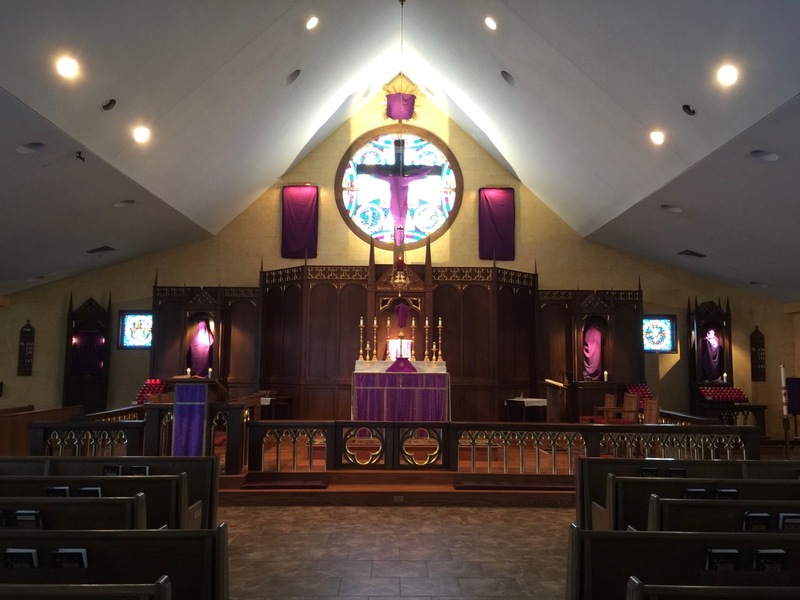 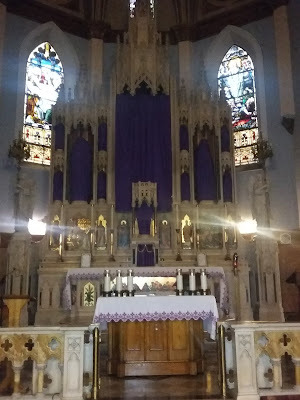 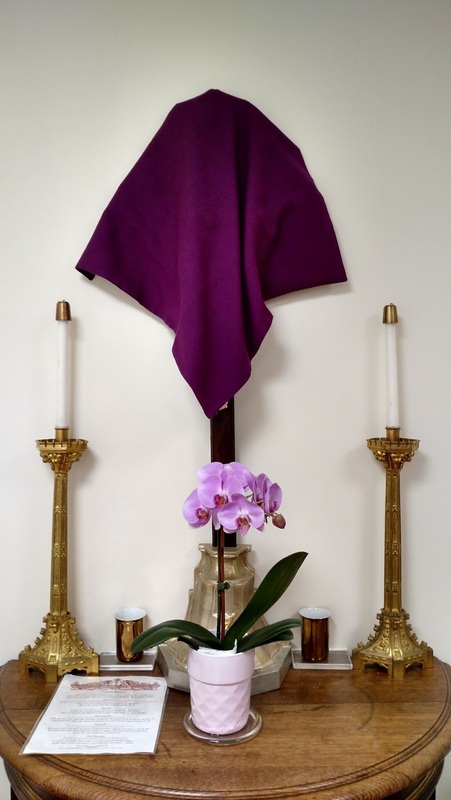 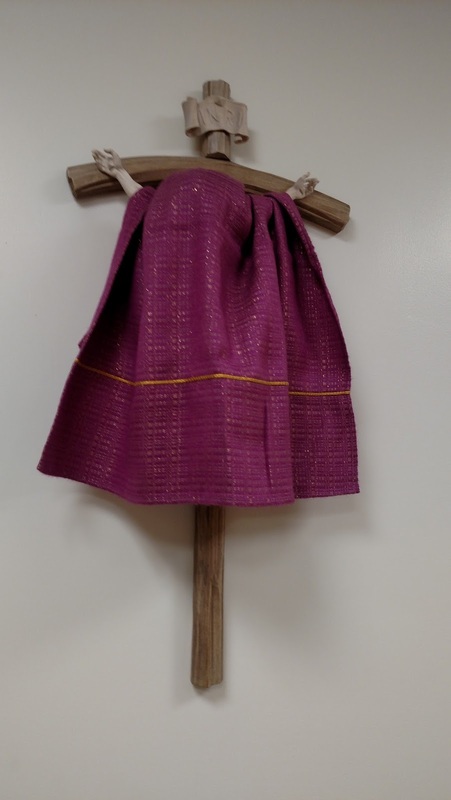 We finally come to the conclusion of our four-part series of churches with veils for Passiontide, which as I mentioned earlier, is the biggest response we have ever had to any photopost request. 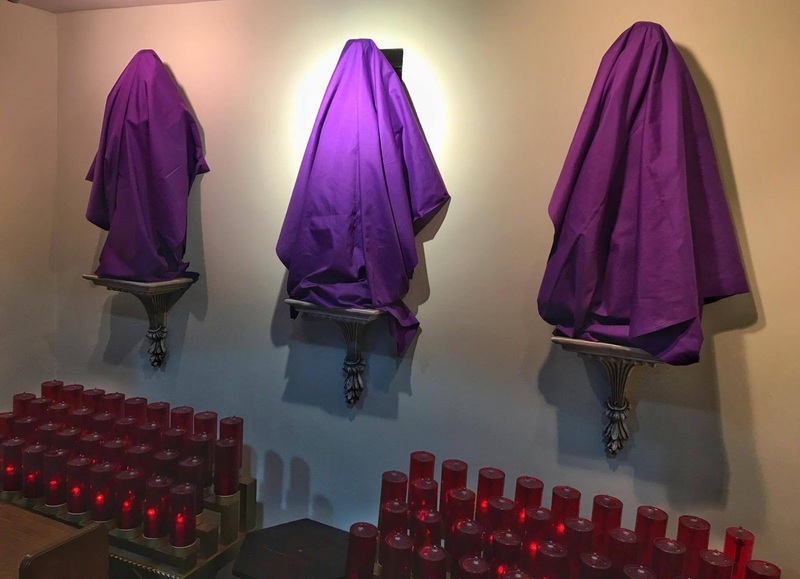 We start with a couple more of those beautiful Sicilian monochrome images of Our Lord’s Passion, used instead of violet veils to cover the whole back of the church. We also have a church, St Leo in Elmwood Park, New Jersey, which put the veils up for the first time in 50 years, another very positive sign. 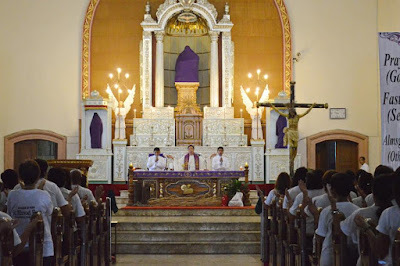 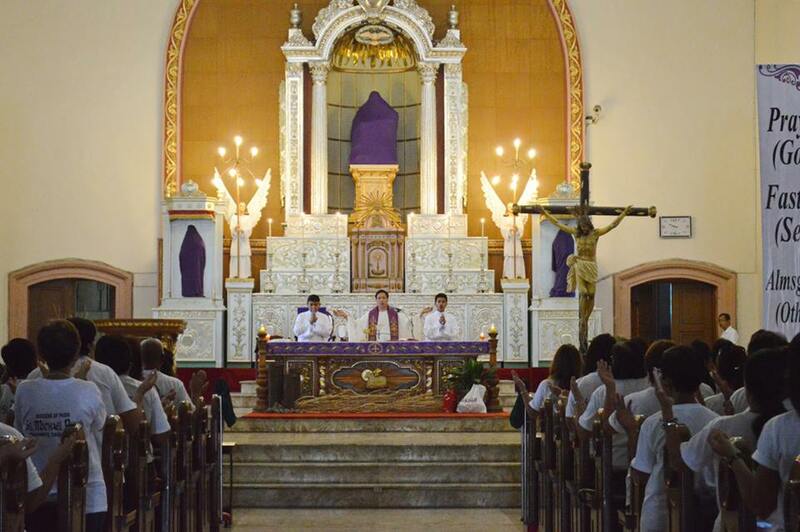 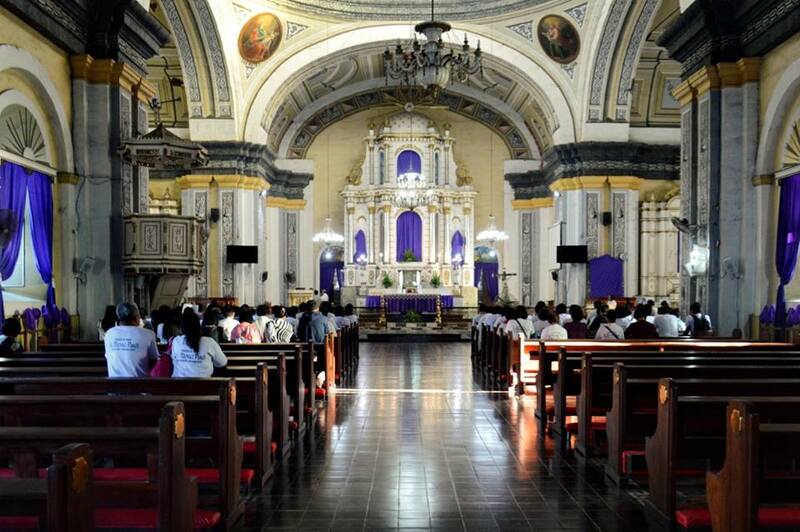 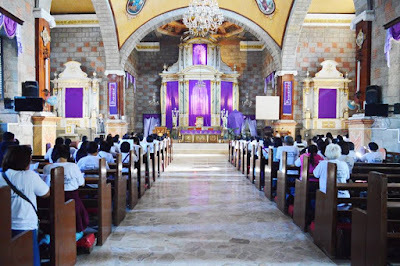 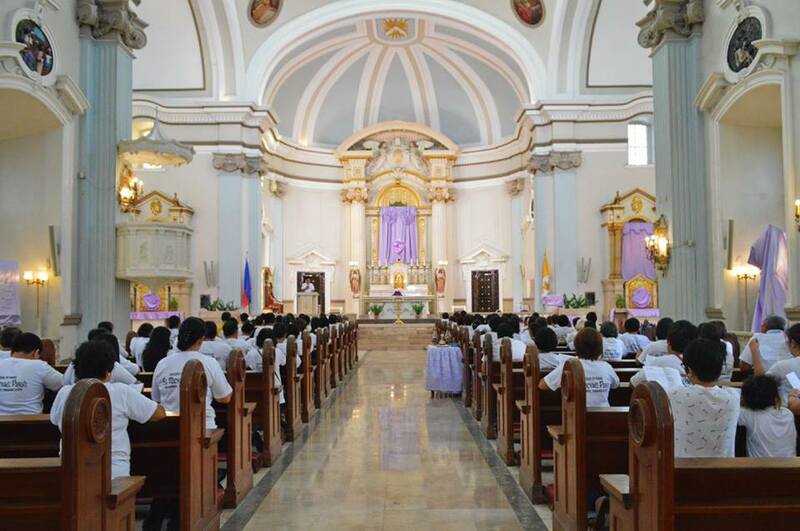 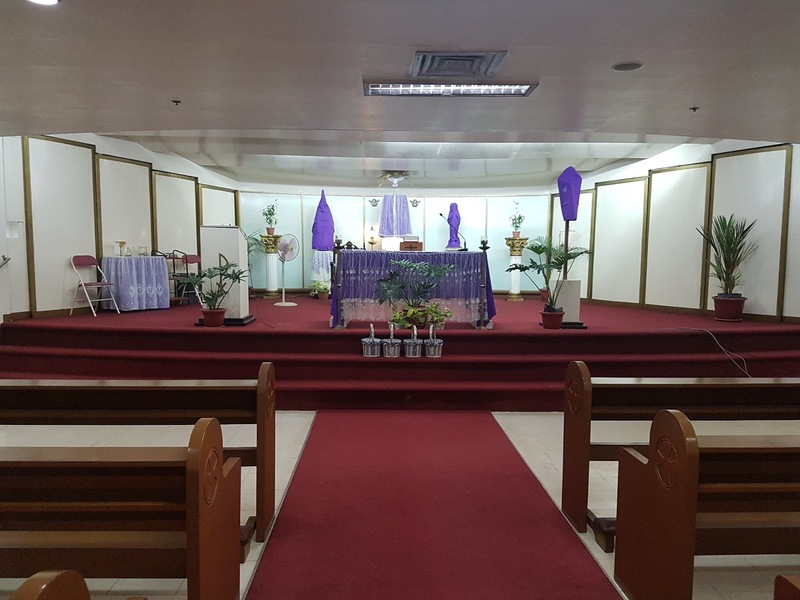 The Philippines were very active in contributing to this series; one reader sent in photos from four churches within the same area. 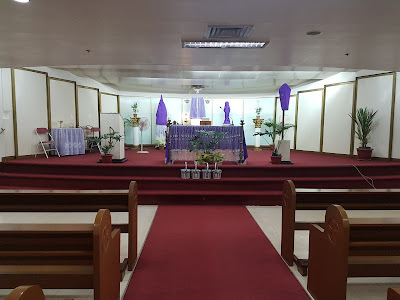 Once again, we are very grateful to all our readers who sent these in, and we wish you all a most blessed Holy Week!